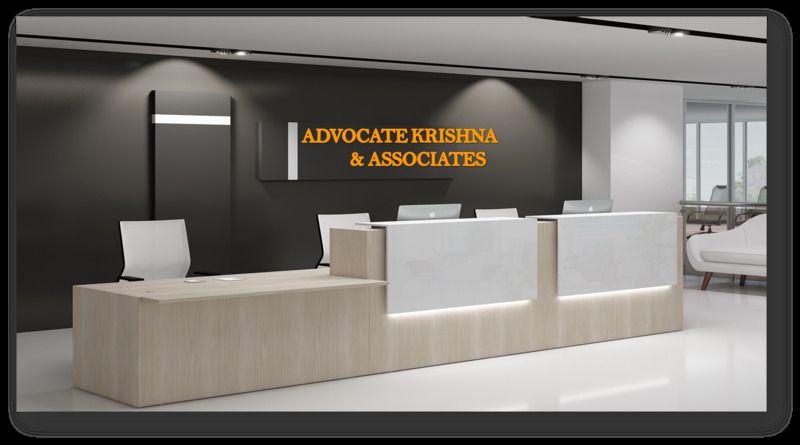 ADVOCATEKRISHNA & ASSOCIATES ADVOCATE KRISHNA & ASSOCIATES are full pledged Property , Family , Corporate Lawyers from Chennai. we are offering online and an offline end to end legal services like property matters,Divorce matters,Family issues, Property Title verification, Marriage Registration, Drt and DRAT Matters, Consumer cases,Labour case,Company law board matters, Bail and direction from High court, NRI services etc ....... ADVOCATEKRISHNA & ASSOCIATES appeared Courts throughout Tamil Nadu and all over India.Advocate Krishna is providing efficient and result-oriented solutions to the clients.We have associate with Auditor, Detective Agency, Retired High Level Police Officers and Retired High Level Registration Officers. Classic Ramaniyam Mahalakshmi Apts, No.3A, Block II, 3rd Floor, 4TH East Avenue, Kamaraj Nagar, Thiruvanmiyur, Land Mark – Opp to Thiruvanmiyur Bus Terminus Tamilnadu, . 12.9964003872371 80.2539010467528 ADVOCATEKRISHNA & ASSOCIATES Classic Ramaniyam Mahalakshmi Apts, No.3A, Block II, 3rd Floor, 4TH East Avenue, Kamaraj Nagar, Thiruvanmiyur, Land Mark – Opp to Thiruvanmiyur Bus Terminus Tamilnadu, .